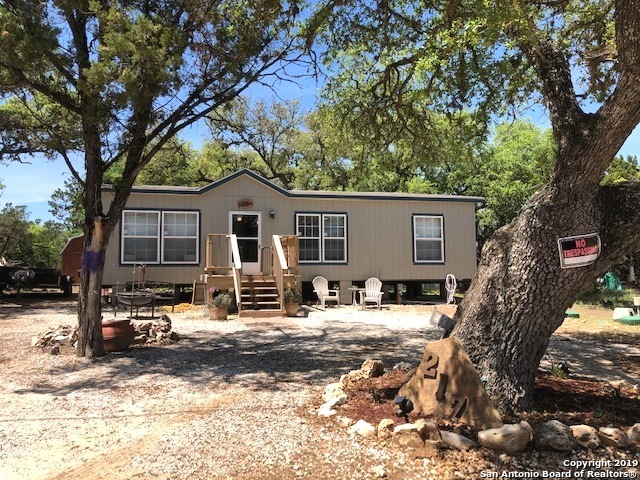 All REBECCA CREEK PARK homes currently listed for sale in Spring Branch as of 04/18/2019 are shown below. You can change the search criteria at any time by pressing the 'Change Search' button below. "**Feels Like New Home**No Carpet**Open Floor Plan**3/2**Big Kitchen**Utility Room**Big Master**Flat Lot**Lots of Mature Trees on the Backyard**10x16 Shed w/front and back Loft and Electricity**30amp to Hook RV and dumpling sewer connexion**Outdoor Electric Outlets Throughout Trees**Seller is Also Conveying With This Property Other Side of The Street Lot 0.24 Acre**Owner Finance w/20% Down**Great Opportunity**"